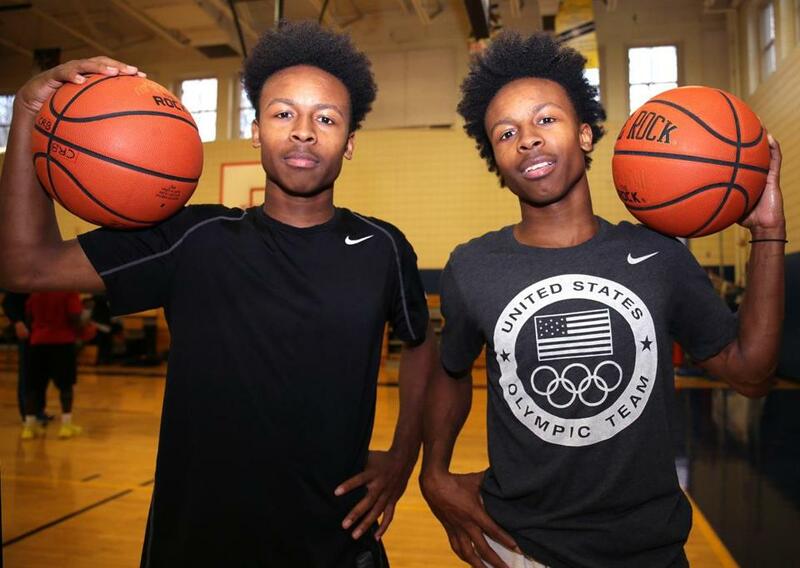 Senior twins Charles (left) and Charlie Mitchell are determined to lead New Mission to another Division 2 state title. It’s a question New Mission boys’ basketball coach Cory McCarthy is asked often of his senior backcourt, the Titans’ lifeblood, Charlie and Charles Mitchell. “[Charlie and Charles] could go anywhere in Boston and somebody says hi,” said McCarthy, who is in his final season as head coach of the program. There’s a boundless sense of pride, interspersed with bits of laughter that pervades through McCarthy’s words when reflecting on his time coaching the Mitchells. It’s a bond four years in the making: one that has redefined the New Mission program and changed the way Titans basketball is viewed by outsiders. “It’s been a great, great four years having them,” McCarthy said. “When we were at a point where our program was the most hated program around here, they helped people learn to like us. They’ve really saved our program from being one of those programs that has a bad reputation for being a little too aggressive. “A lot of that has to do with people not liking me but hey, it is what it is,” he coyly added. It’s the joy Charlie and Charles bring to those close to them, and the wonder they leave in the eyes of those watching from afar that McCarthy continues to extol. Each standing 5-feet-8, 155 pounds — although Charlie gives his brother a slight edge in the height department – the two are inseparable, yet distinctive. Charlie is the ball-handler; Charles shoots. Charlie is the vocal leader; Charles the silent aggressor. Both play fearless defense, but Charles racks up the steals, with Charlie always there to help or leak out for a transition layup. Charles has shorter hair, for now. “It’s amazing having someone on the court with me that knows my skills and what I’m capable of doing,” said Charles, who dons the No. 2 yellow and blue jersey. Charlie, of course, wears No. 1. 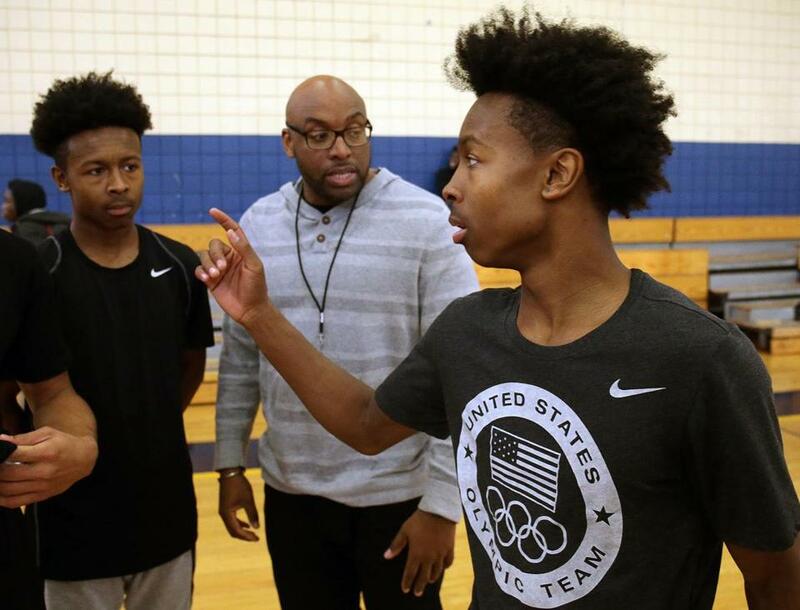 Growing up on Dudley Street in Roxbury in a single-parent household, the twins first picked up a basketball sometime upon entering the sixth grade. They took to the game immediately, and soon after were told they had the talent to go far. Charles remembers their inauguration into the world of hoops with an even greater clarity. “It was in a hospital,” he recalled. “We just walked in and my friend was like ‘you want to play on our team?’ We were little at the time. His mom talked to my mom and we just went to that one practice and we fell in love with it. We went every Saturday to that same place and practiced and [have] loved it ever since. And yet, for a duo that has continually raised the bar, bringing home two state championships in three years at New Mission — including a 52-48 win over Concord-Carlisle in last year’s D2 final, the Mitchells still find new ways to make others beam with pride. “They are two of the most popular kids in the city of Boston,” said McCarthy. It’s a testament to how they were raised, and the resilience they’ve exhibited throughout their time growing up in Roxbury. “They’ve been plenty of times, at least more than five times, when I’ve gone to drop these guys home and there’s some yellow tape across the street from them, next door to them, around the area,” said McCarthy. “I don’t want to continue to paint the picture of that [being] how the city is, but those are the circumstances of their neighborhood. As is their nature, the twins remain hungry. Acquiring a third state trophy remains priority number one. Then, it’ll be off to college, together as always. After a pause, he broke out in a sly grin.